The Canon G10 is an excellent topside compact camera, one of the best out there due to it's superior handling and controls, excellent 14.7 megapixel sensor, RAW capability, full manual controls, and wide 28mm lens. However, due to the long zoom range, it may not be as ideal a camera underwater as other cameras, depending on the housing choice. Like other Canon cameras, Canon TTL works in P, TV, and AV modes. This is true whether using an internal flash topside, Ikelite TTL, or a strobe fired via fiber optics. In manual mode, you must set the strobe power manually. 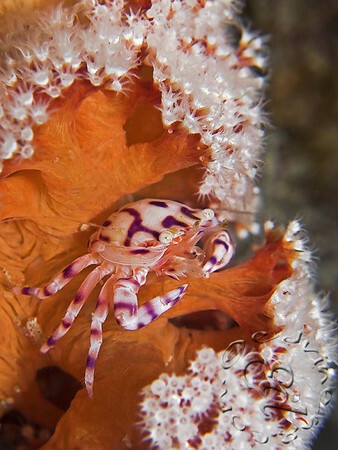 Soft coral crab, photo by Edvin Eng. Canon g10 + canon housing, stacked Inon macro lenses. 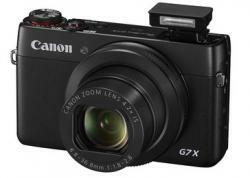 Some people feel the 15 megapixels of the Canon G10 was too many, and the Canon G11 has only 10 megapixels. 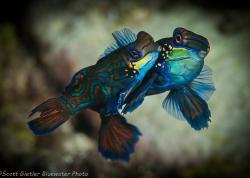 In underwater photography, this is not a big concern, and wet lenses and housing choices should be your main concern. 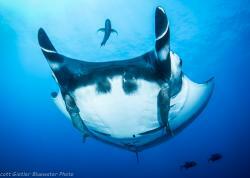 I do not expect image quality of underwater photos to be noticeably different between those of a Canon G11 or Canon S90. With the Canon OEM housing, there is no wide-angle lens support, only a flat port so only shoots at 35mm equivalent. No access to the dial, so changing manual settings takes 2 hands. This housing is light, compact and inexpensive. When zoomed out and using the internal flash, there may be some light falloff when doing close-up shots due to the size of the port, although it is not as bad as with the Ikelite housing. 10bar makes an adapter than allows you to add macro wet lenses to this housing. 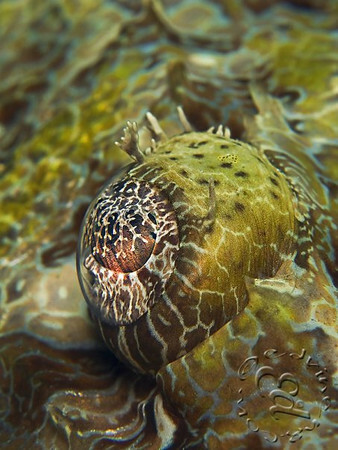 Crocodile fish eye, photo by Edvin Eng. Canon G10 with Canon housing, stacked Inon macro lenses. No wide-angle support, so it shoots at 35mm equivalent. 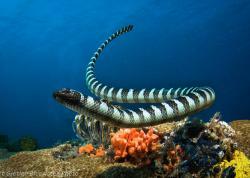 If you pay extra for the Ikelite W-20 wide-angle lens, you will back to semi-wide angle at a little better than 28mm. There are also 3rd party dome ports that will give you back the original 28mm angle of view. The internal flash is blocked by the port for close-up shots, so an external strobe is required for macro shots. There is access to the dial for manual controls. At this time, no support for wet lenses. The Ikelite housing comes with TTL capability and sync cord connections. The FIX UWL-04 fisheye conversion lens, which has a dome port can give a very wide angle of view. Don't forget to put the camera into macro mode when using a dome port, because of the location of the virtual image. The lens easily snaps on and off via a bayonet mount. With this housing you will also need to use duct tape to block the internal flash, especially when using a wide-angle lens, to avoid getting the flash in the photo. Seatool makes a snap on diopter for close-up macro shots with the standard port. 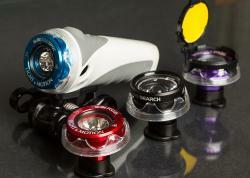 no wet lenses, but comes with a short port, which can take macro lenses, and a WA port, which gives you 28mm. So you can't shoot macro and wide angle on the same dive. Submitted by animal on Tue, 2012-05-01 20:13. Can I use an external strobe with the canon housing? Submitted by SUSHIKING (not verified) on Sun, 2011-12-04 06:03. Do I need a waterproof case before I bring this camera underwater or is it already waterproof? Submitted by Zig on Mon, 2011-12-05 09:58. The Canon G10 is not waterproof. 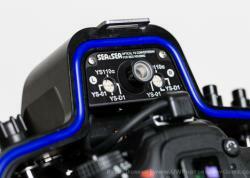 Yes, you need an underwater housing. Submitted by gino (not verified) on Sat, 2011-01-22 19:04.
do you know anybody who knows how to mount the led blue light on the top of the housing.....?? Also , when im making a photo and i try to do zoom... the camera stops and tells me zoom error,restast camera.... and pissed me off a lot?what shall i do!!! is urgent man! Submitted by jacqui Engel (not verified) on Mon, 2010-08-02 21:03. Thank you so much for your informative website! What a fabulous resource for photographers of all levels! I am diving Northern Vancouver Island with my new Canon G11, Canon housing and seaandsea YS17 strobe. I am struggling with the learning curve quite a bit! I have gone from completely 'burned out' pictures, to too dark, and am defaulting back to 'Auto' mode just to get a few 'decent' shots on each dive. i am also finding changing the manual settings very challenging underwater, Any advice you can offer will be greatly appreciated! Submitted by sunni on Mon, 2010-04-19 01:51. I just got a G11 with a matching canon housing and I'm going diving soon. Thanks Scott for your website. This will be my guide as I set out on my new hobby. Wish me luck! Submitted by scottg on Tue, 2010-04-20 11:18. Submitted by Willy from Switzerland (not verified) on Wed, 2010-03-31 21:36. I have used a G10 with the Patima Housing. In my opinion, if someone goes as far as G10 and Patima Housing he or she is better off going straight for a professional camera and housing since the G10 / Patima will not deliver the results which someone would expect for the money he spent. Submitted by venividi on Tue, 2010-08-10 10:45.